This breathtaking tour allows you to see two of the most iconic national parks in one flight. First you will depart eastbound climbing over Gooseberry Mesa towards the Gateway to Zion and then follow the colossal Canaan Mountain Range to meet up with the east fork of the Virgin River. Your tour will then continue through the white walls of the Barracks and white cliffs and then approach the giant Paunsagunt Plateau just before reaching the southern cliffs of Bryce Canyon. 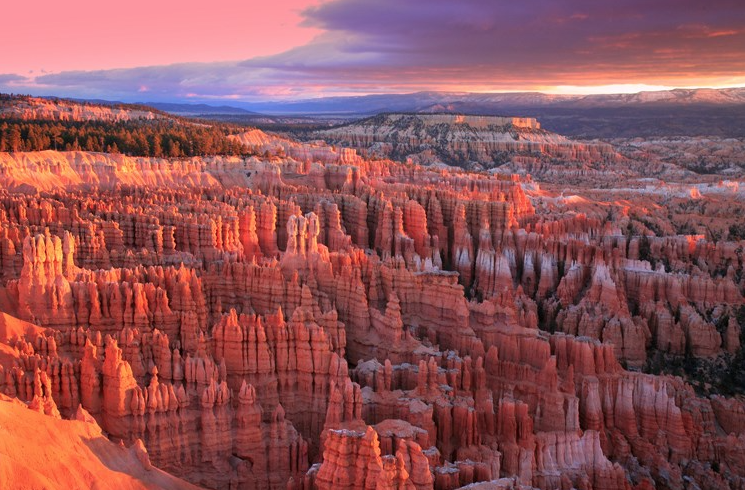 Once in Bryce Canyon your tour will follow the border of the park with stunning views of Bryce Canyon’s Sunrise and Sunset points. After viewing amazing up close terrain just south of Bryce Canyon you will be heading west towards East Zion meeting up with the north fork to the deep creek wilderness area. This area is truly an awe-inspiring viewpoint of the beginning of Zion National Park. The last leg of this beautiful scenic tour follows the northern border of Zion to the Kolob Canyon’s area of the park heading home along the west border of Zion National Park. Additional flight time may be purchased, but an additional fuel stop may be required.